Originally, The Seeds started life as a garage band. That was the past. Music was changing. So were The Seeds. The Beatles’ had just released their psychedelic masterpiece Sgt. Pepper’s Lonely Heart’s Club Band. This was the way music was heading. Hearing this seminal psychedelic opus resulted in The Seeds changing direction. Realising that psychedelia was the future, The Seeds changed tack. This was a huge risk. During the last two years, The Seeds had worked tirelessly to build a reputation as one of the most innovative bands of the era. They’d released two albums, A Web Of Sound and The Seeds, which featured Pushin’ Too Hard, the biggest single of their career. Despite this, the temptation to experiment and push musical boundaries was too much. For The Seeds, standing still wasn’t an option. Here was the dawn of a new musical era. 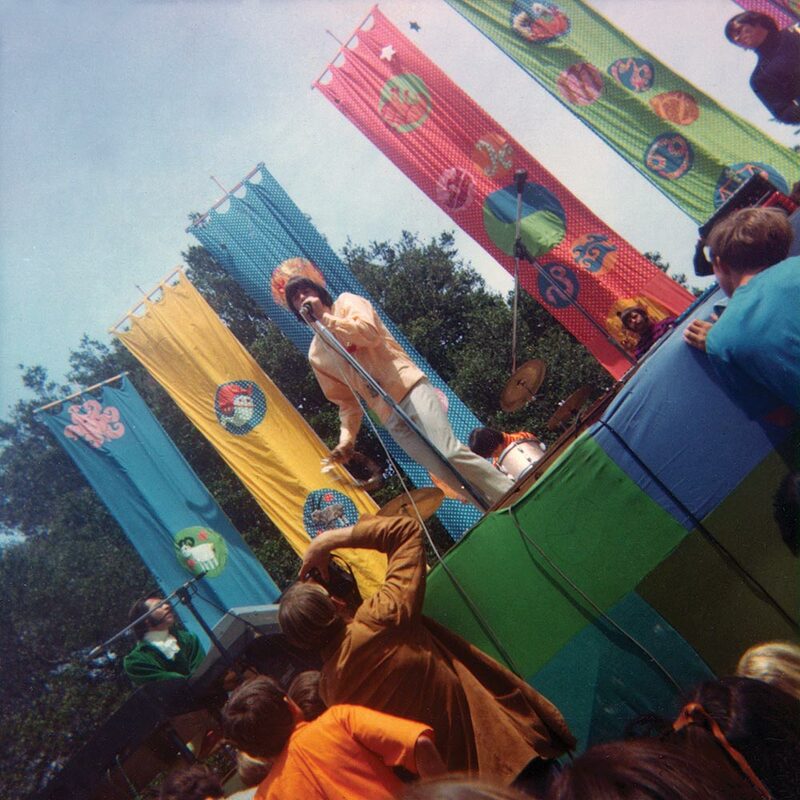 The Seeds going to be were part of the psychedelic era in 1967. For The Seeds, resisting this temptation was impossible. In 1967, The Seeds released their third album Future. Future didn’t see The Seeds push musical boundaries to their limits. Instead they blew these limits away. The result was a mind-blowing fusion of psychedelia, garage, rock and pop. Veering towards jazz and soul, eclectic doesn’t even come close to describing Future. This was a long way from The Seeds roots as a garage band. This was very different. Maybe too different. On its release, Future wasn’t a commercial success. It was critically acclaimed and nearly four decades later, is perceived as a psychedelic classic. Following the commercial failure of Future, The Seeds had bills to pay, so returned to playing live. This was a steady source of income. By 1968, things weren’t going well for The Seeds. Whether the band knew it, but 1968 would see The Seeds release their musical swan-song. This was Raw and Alive and an album that captures The Seeds at their very best. It epitomises what The Seeds live sounded like. Raw and Alive was recently rereleased by Big Beat Records, a subsidiary of Ace Records. This is no ordinary live album though. Big Beat Records’ rerelease of Raw and Alice is best described as a luxurious double album. Disc One features the original stereo version of Raw and Alive, plus the undubbed version of the concert. On the undubbed version of Raw and Alive, an added extra is a version of 900 Million People Daily All Making Love. With the original and undubbed versions of Raw and Alive, the listener is able to hear The Seeds at the peak of their powers. That’s just disc one. 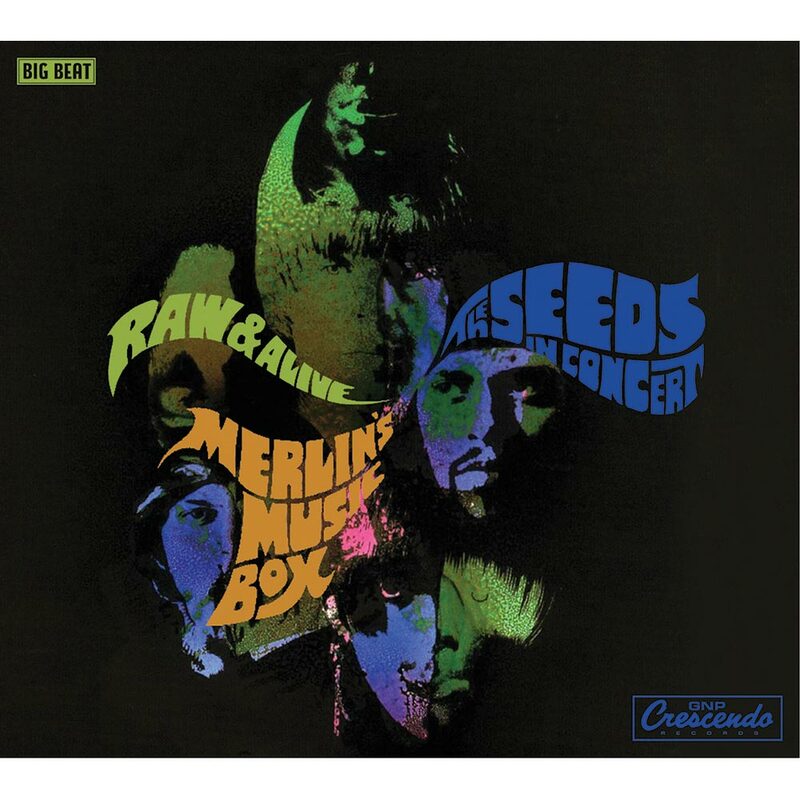 Then on disc two of Raw and Alive, which is entitled Live In The Studio, which was recorded on 20th February 1968, The Seeds rattle their way through fifteen tracks. Two of these tracks, Gypsy Plays His Drums and Pushin’ Too Hard are new mixes of the track. Just like Raw and Alive, the Live In The Studio captures the very essence of The Seeds live. Telling the story of the recording of Live and Alive is Alec Palao. Just like his sleeve-notes to Future, they’re in-depth, articulate and insightful. He documents a band whose career was at a crossroads. With The Seeds change of direction not proving a commercial success, the band needed money. One solution was to record a live album. This made perfect sense for The Seeds. Many of their fans told them that they were better live than on record. So, what they wanted to do was capture what The Seeds sound like live. There were a couple of problems. The first was that The Seeds hand’t been recorded live very often. So, they weren’t aware of the pitfalls that could cause them problems. Playing in front of 18,000 people, anything could, and would, go wrong. A favourite was for the stage to be invaded or the audience to be overcome by hysteria. After all, in some parts of California, The Seeds were treated like The Beatles. That was on a good night. What happened if the recording was arranged for a night when the audience were less than enthusiastic? This was just as problematic. They’d end up with a recording that wasn’t a reflection on what The Seeds live sounded like. For The Seeds, what sounded a good idea was quickly getting complicated. They pressed on and eventually, Gene Norman President of GNP Records hit on a solution. 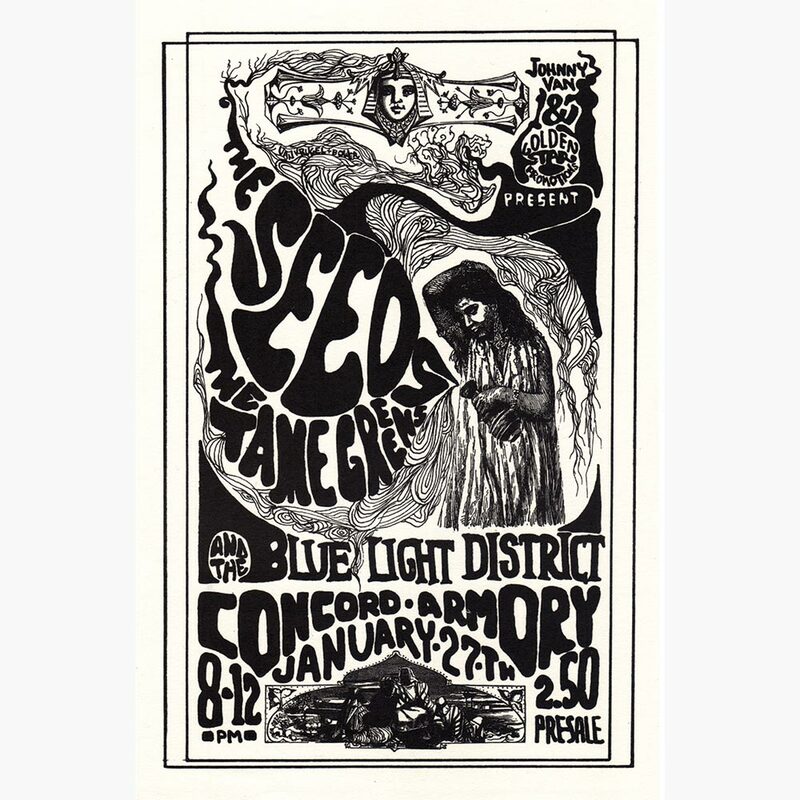 Rather than play live in an auditorium, The Seeds would play in a studio in front of an invited audience. This wasn’t new. It had been done before, resulting in mixed results. However, it was seen as the best solution. It didn’t work. It was time for take two. Without the audience, The Seeds returned to the studio to record their “live” album. When Raw and Alive was recorded, there were no iso booths. Everyone stood together in an attempt to replicate a live sound. Unlike recording an album, the engineers didn’t worry about microphones bleeding into each other. This was all part of The Seeds live experience. After Humble “Harve” Miller announces the arrival of “Sky Saxon and The Seeds” strut their way through ten songs. This includes Farmer and Up In Her Room from The Seeds 1966 debut album A Web Of Sound. Farmer which opens the albums sets the tone. Sky delivers a sneering, hypnotic slice of psychedelic. Then interspersed throughout Raw and Alive are a trio of tracks from The Seeds eponymous sophomore album. No Escape, Can’t Seem To Make You Mine and Pushin’ Too Hard captures The Seeds live. Bristling with electricity, energy and enthusiasm, The Seeds swagger their way through theses songs. They fuse garage, pop, psychedelia and rock. Genre melting describes The Seeds, who are on a roll. One of the highlights of Raw and Alive is Satisfy You, a fusion of psychedelia, rock and a proto-punk. It featured on The Seeds 1980 comeback album A Spoon Full Of Seedy Blues. Then before you know it, Sky is announcing Pushin’ Too Hard, the final song. Here, The Seeds are reminiscent of The Doors. It’s not just the combination of the keyboards and charismatic frontman that leads to this comparison. No, it’s the quality of The Seeds performance. On its release in May 1968, The Seeds perceived Raw and Alive as a stopgap until they got round to writing and releasing their fourth album. That never happened. Raw and Alive wasn’t a commercial success. Soon, The Seeds were playing smaller venues. Their music then was no longer fashionable. Rock was now King, while The Seeds were yesterday’s news. Worse was to come. Drugs caused problems within The Seeds’ camp. Sky allegedly succumbed. Reports say he was constantly stoned. For Rick Andridge, this was the final straw. He packed his drums and left. Sitting around waiting for concerts to be arranged wasn’t going to pay the bills. So, he left The Seeds. Raw and Alive is The Seeds’ swan-song. For fans of The Seeds, having the two versions of Raw and Alive sit side-by-side is fascinating. First up is the version with the overdubs. Then there’s the warts and all version. if anything, this is much more representative of what The Seeds were like live. They swagger their way through ten tracks, fusing musical genres and influences. It’s not a flawless performance. Live performances never are. However, these imperfections and flaws can be forgiven. They make The Seeds performance seem all the more real and authentic. That’s despite the lack of audience. The Seeds still played live. They plugged in and played their way through ten blistering tracks. This was “take two” though. “Take one” took place on 20th February 1968. 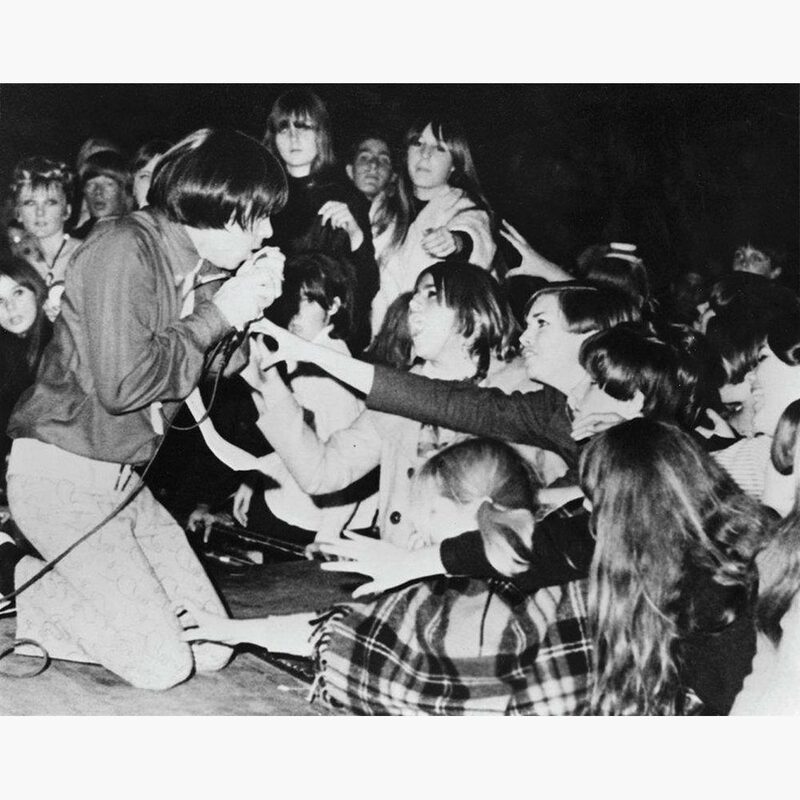 Watched by members of The Seeds fan club, the band were introduced by Gene Norman and laid down fifteen tracks. They were rejected and ended up lying in GNP Records’ vaults. That’s until now. For the first time in forty-six years, these fifteen tracks can be heard. They’re a reminder, if any were needed, of how good a live band The Seeds were. It’s a warts and all performance. That’s what makes this essential listening. It’s like eavesdropping on the past. You can even hear the chatter between songs. Then The Seeds showcase their inconsiderable skills. Drawing inspiration from folk, garage, jazz, psychedelia, free jazz, proto-punk and even prog rock The Seeds combine musical genres and influences. 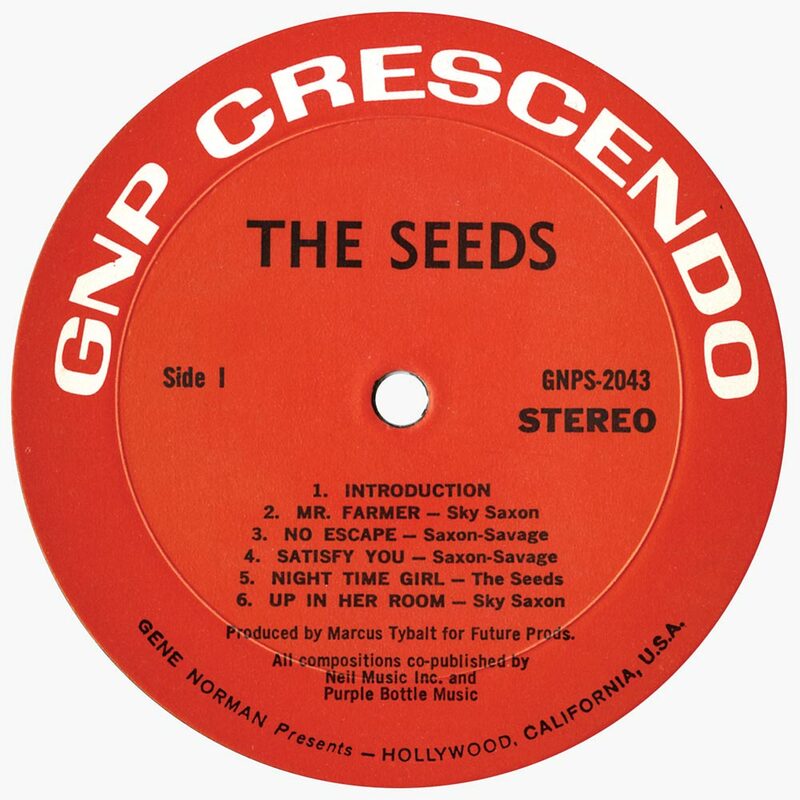 Strolling and strutting their way through fifteen tracks, The Seeds must have thought that this was the first step in their musical redemption. Sadly, it wasn’t. Never again, did The Seeds reach the heights they’d enjoyed on their first two albums, A Web Of Sound and The Seeds. These were musical mountains they’d never climb. The Seeds moment in the sun had been fleeting. 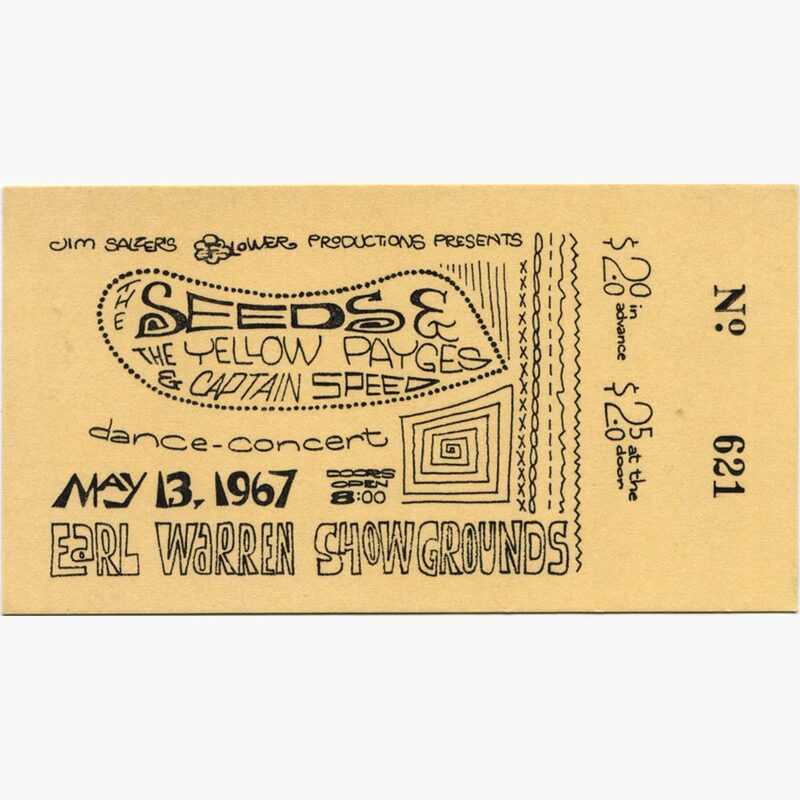 Between 1966s A Web Of Sound and 1968s Raw and Alive, The Seeds were one of the most innovative groups. Like a chameleon, they changed from a garage band into one of psychedelia’s flag bearers. They drew inspiration from disparate musical genres and influences. Everything from rock, garage rock, psychedelia, folk, jazz, doo-wop, free jazz, proto-punk and even prog rock, influenced them on their greatest studio album Future. Despite Future being perceived as a minor classic, people said The Seeds never replicated their live sound on any of their three albums. So, they tried to do so on Raw and Alive. It took two attempts, but eventually, they managed to do so. The result was Raw and Alive, which was recently rereleased by Big Beat Records, a subsidiary of Ace Records. It harnesses The Seeds live sound. Indeed, Raw and Alive harnesses the raw power, energy and electricity of The Seeds. Hard rocking, they play with confidence and a swagger. They’re good and they know it. With a spring in their step, they try to recreate their live sound. They achieve this on Raw and Alive, which sadly, was their swan-song. The Seeds musical legacy was a trio of studio albums and Raw and Alive. A Web Of Sound, The Seeds and Future feature the changing face of The Seeds. Their best studio album was Future, which is now a psychedelic classic. Drawing inspiration from The Beatles psychedelic masterpiece Sgt. Pepper’s Lonely Heart’s Club Band. It’s a combination of The Seeds garage band roots and psychedelia. The Seeds also were influenced by Frank Zappa, Thirteenth Floor Elevators, The Doors, The Who, the British invasion bands and jazz. All these influences can be heard on Raw and Alive, which marked the end of The Seeds story. They may not have been the most prolific band in musical history, but continue to influence another generation of musicians and music lovers. Raw and Alive is a tantalising glimpse of what The Seeds live must have sounded like. ← COUNT BASIE AND HIS ORCHESTRA-AFRIQUE.